Culpeper, VA (August 23, 2016): Junior riders took center stage this past weekend at the USHJA Zone III Junior Equitation Finals and Haley Redifer of Barboursville, Virginia, aboard her own Ballon, was the star of the show. Impressing Judge Irving Evans throughout all three rounds of competition held in the Grand Prix Ring, Redifer topped the field to stake claim to the blue ribbon and a saddle courtesy of County Saddlery. Saturday marked the eleventh year that HITS Culpeper has hosted the USHJA Zone III Junior Equitation Finals. 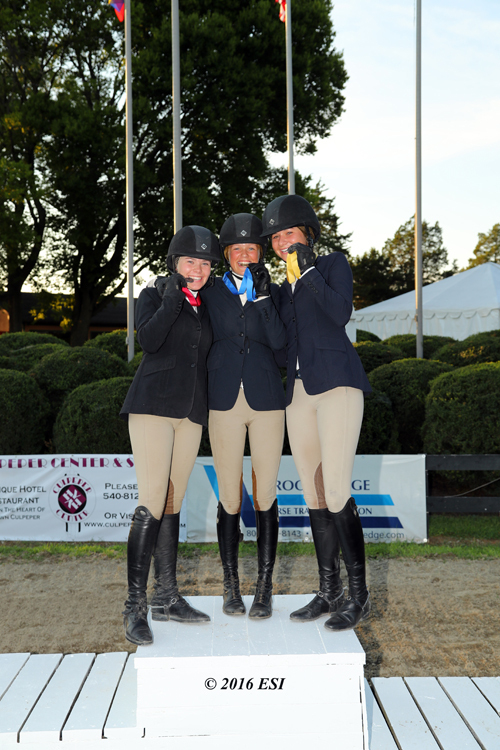 Qualified riders traveled from all over Virginia, Maryland and North Carolina for the popular final and competed in either a 3’ or 3’6” section with one overall set of results. Round one was tested over a set of fences designed by Oscar Soberon. The top 10 exhibitors returned to show on the flat, followed by a final test over fences of the top four riders. Grace Boston aboard Denver S, owned by Thinkslikeahorse, received second place honors, followed by Carly Hoft aboard Cashman, who placed second in last year’s final, to round out the podium finish. Boston received a bridle, donated by Ginnie Edwards and Hidden Hollow Farm for the second place prize and Hoft was awarded an Irish Knit cooler, donated by Mr. and Mrs. Streett Moore of Bellfield Farm Show Management for third. Fourth in the standings went to Samantha Hawrysko piloting Acadia Park. 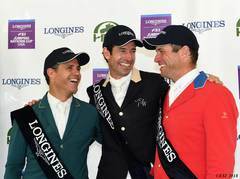 Hawrysko received a leather halter prize, donated by Mr. and Mrs. Streett Moore. Savannah Bednash and Verrazano, owned by Pinnacle Sporthorses, LLC., placed rounded out the top five competitors with fifth place. 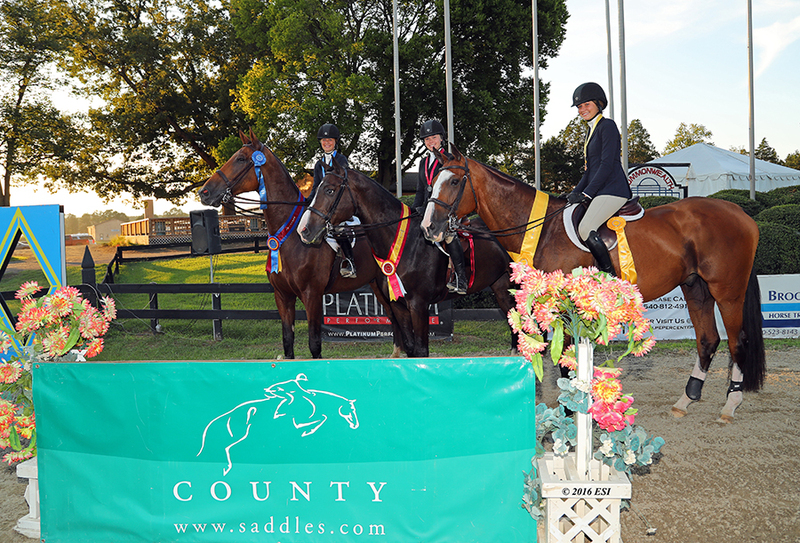 A special award for the Best Equitation Horse was given to Queso Grande, owned by Darby Cole, and ridden by Madison Busey. Prior to the class, qualified exhibitors and their guests were invited to a Rider Reception hosted by HITS which included complimentary hors d’oeuvres and refreshments, as well as gift bags courtesy of the USHJA. 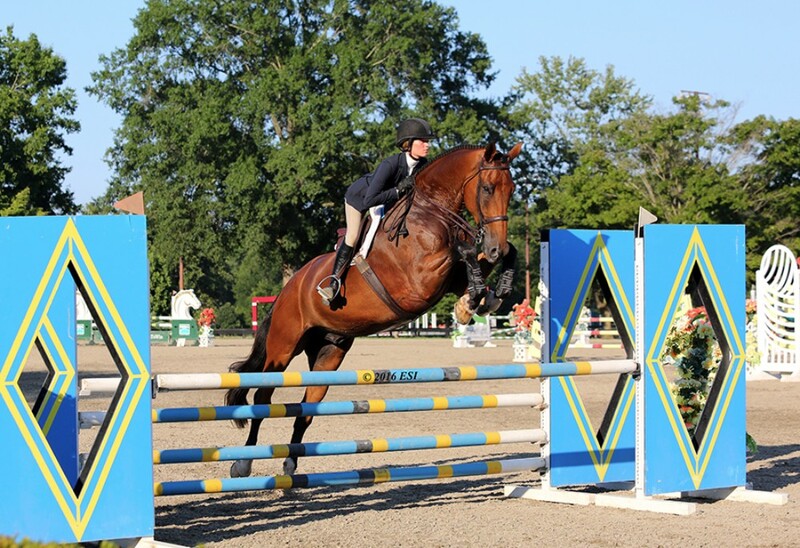 Haley Redifer and Ballon on their way to a USHJA Zone III Junior Equitation Finals win. For more information and a complete schedule of classes and events, visitwww.HitsShows.com. Stay connected with HITS! Join us on Facebook and follow us on Twitterand Instagram. Media should contact the HITS Media Team at 845.246.8833 or e-mailmedia_info@HitsShows.com.